You are currently browsing the category archive for the ‘BreadIn5’ category. So, we had homemade pizza over the weekend … there’s nothing like making your own pizza, right? Not only can you control what and how much (or how little) of the toppings you want on your own pizza, but you can also choose the best quality ingredients you can find or afford for the toppings & dough! And if you have kids, the pizza making is a great way to bond and spend time with them. They can help to prepare the dough and toppings, roll out their own crusts and top their own pizzas any way they like (within reason, of course 🙂 ). It’s also a good way to get them to eat if they are choosy or picky eaters … let them choose & top their pizzas to make them feel that the pizzas they make from start to finish are really theirs, which should help ensure they’ll eat them. My kid enjoyed helping me weigh and mix the dough ingredients, and I’d even let her slice the ham (obviously, I was hovering over her shoulder, worried that she might cut herself). She made for herself a smoked ham, mozzarella & Parmesan cheese pizza, stretching out her own pizza dough and spreading a base of a tomato-based pasta sauce that supplied her vegetable diet needs (she doesn’t like to eat vegetables but will eat a bit of such tomato-based pasta sauces). She happily devoured almost the whole 12″ pizza (less a 1/6th slice)! I think that’s quite a lot of pizza for a slim 10-year old, right? I made fully loaded pizzas for my significant other & I, using good quality pepperoni, smoked ham, red & green capsicums, onions, fresh white button mushrooms, black olives, mozzarella and freshly grated Parmesan cheese on a bed of the tomato-based pasta sauce over a moderately thin crust. The crust was made from what I call Savory Olive Oil Dough, which has garlic powder and onion powder for additional flavor. Okay, with the results of Trial #1, I’ve decided to increase the amount of sugar (to make the bread sweeter) as well as increase the potato flour to improve on the softness of the bread. Since I’d started baking bread again after discovering the bread in just 5 minutes a day technique, I’ve been wanting to wean my significant other and our daughter from store-bought sliced sandwich bread to something more wholesome and maybe even cheaper. The recipes from Artisan Bread in Five Minutes a Day as well as the authors’ follow-up books (Healthy Bread in Five Minutes a Day and Artisan Pizza and Flatbread in Five Minutes a Day) are great and delicious, but as they are artisanal French breads, they are best eaten the day they are baked … they do not keep well for more than a day, becoming dry and stale. Assuredly not what my significant other and our kid like to eat, which is pillowy soft and light like Wonder Bread … here’s a picture of some store-bought sliced white sandwich bread. On the other hand, Artisan Bread in Five Minutes a Day does have a recipe for Soft American-Style White Bread, which has sugar & butter and makes good sandwiches … on the first day. However, it does not stay soft on the 2nd day onwards, not like the store-bought kind. So, this got me thinking that there must be a way to reproduce the longer lasting softness of store-bought sliced sandwich bread, but without any artificial preservatives or additives. 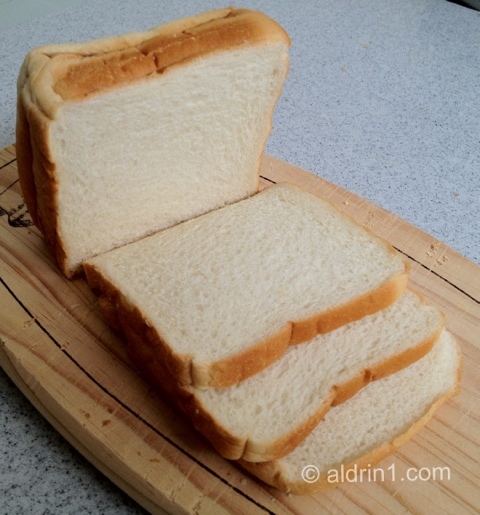 So, I’m now on a mission … to find out what makes the softest wholesome sandwich bread. So, as promised, here’s my journey making Artisan Bread in Five Minutes a Day … it all started after I’d discovered a cool site for tips & tricks meant to make my life easier: Lifehacker.com … but that’s a story for another day. Welcome to my first blog … yeah, I know, I’m a bit late to the game, but it’s never too late, eh? So, what’s my blog all about? Yes, it’ll mostly be about my wants and likes, more of which will be about one of my passions … food! Not only about eating good food, but also how to cook good food! 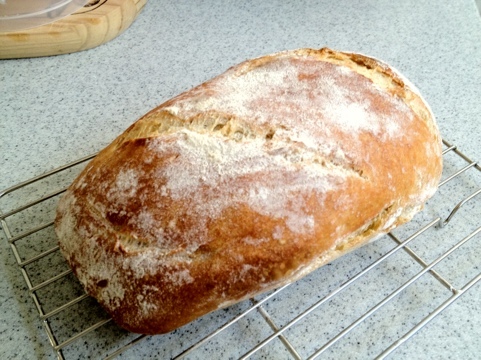 To start off, let me tell you about a fantastic and easy way to eat home-baked fresh bread everyday … just follow the Artisan Bread in Five Minutes a Day method! It was near the end of March 2012 that I discovered Jeff Hertberg’s and Zoë François’ method for “5 minutes a day bread” through Lifehacker, which linked me to Mother Earth News. 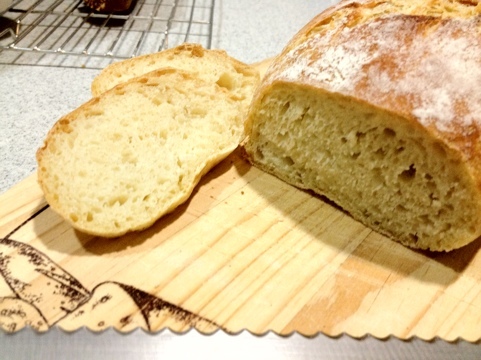 This method creates lovely yeast breads. But instead of doing the kneading yourself, you let time do the kneading for you! And by making a lot of refrigerator-stored dough that will allow you to make many loafs of bread for up to 2 weeks, it will actually take less than 5 minutes of your active time per loaf (i.e. 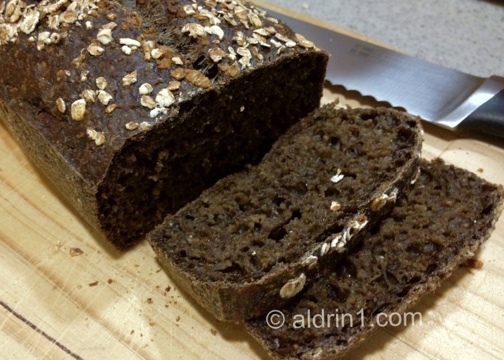 time you need to actually do something to make each loaf … passive time like waiting for the dough rise, rest or bake are not counted, as it is time that allows you to do other things).